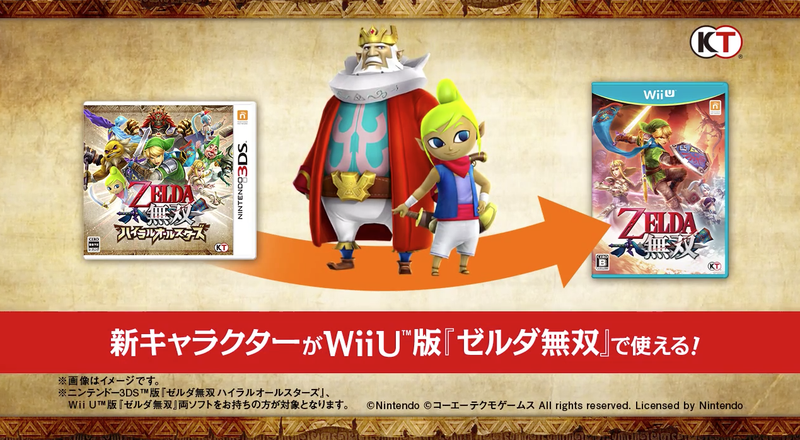 A new trailer from Japan shows Hyrule Warriors on the Nintendo 3DS, along with two additional, playable heroes. Omega Force and Team Ninja have teamed up to bring the 3DS version of Hyrule Warriors. As seen on the Wii U, the gameplay is inspired, or rather shared, from the Dynasty Warriors series, while combined with the essence and lore from The Legend of Zelda. In the trailer, we see two new characters to pick from: The King of Hyrule and Tetra, both characters from The Legend of Zelda: The Wind Waker. At the end of the preview, we also see compatibility with the 3DS version of Hyrule Warriors with its Wii U counterpart. Unfamiliar with Hyrule Warriors? You can find our review of it here. Personally, I think this is a great idea. Porting large console games onto a small handheld device is something we are beginning to see more and more as the 3DS ages. Let’s just hope that Nintendo plans on pre-installing the previously released DLC from the Wii U version. Landon Luthi loves to frighten small children with warped television only found on the TLC channel. You can read this guy’s profane scribble on Twitter and about 43 percent of the personals’ ads on Craigslist.